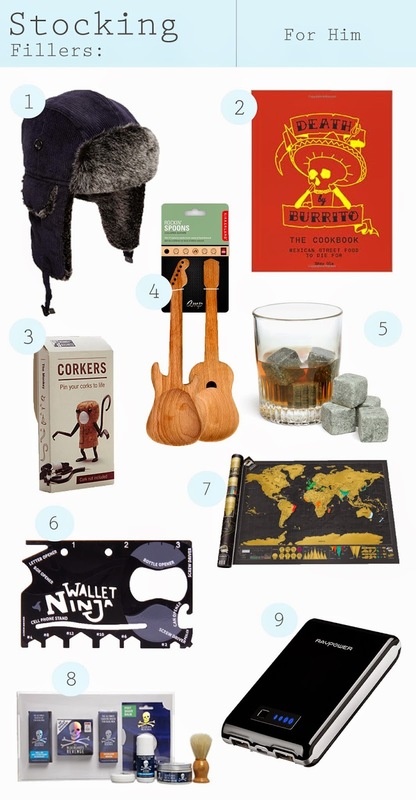 Well this is my forth and final gift guide for this year, and we are ending with stocking fillers for him. Doing these posts always leaves me in such a festive mood. And as we aren't to far from Christmas now, I hope these gift guides have maybe helped you in some way, or given you some inspiration of your own. My favourite from this list is number 1, I love that style of hat and it does suit a lot of people. Where are you with your Christmas shopping, are you all done, or have you not started yet?